Soap making has become more craft than necessity, but with the increasingly wide range of dangerous chemicals being added to most commercial soaps, you might find reason for this craft to be more than just a hobby! First and foremost, you will need tools! Any tools that are being used for soap making should be dedicated to that purpose alone. Because lye is not safe until it has “set.” It’s best not to take the chance of being exposed to lye by using your soap making tools for other purposes. Because aluminum will react to the lye used to make soap, your best bet is to stick with glass and plastic for any containers you will be mixing in. You will want to have at least one large heavy-weight plastic mixing bowl and a handful of smaller plastic bowls and/or containers for measuring out your oils, liquids and other ingredients. You should also have a large glass measuring cup on hand. Nearly all of your soap ingredients are going to be measured by weight, and not by volume. Because of this, a kitchen scale is a must. Even a small miscalculation in your recipe could make for a botched batch of soap. 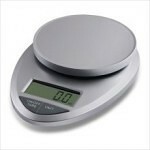 You can purchase small kitchen scales online or in kitchen shops at very affordable prices. You will need to be able to measure the temperature of the lye solution as precisely as possible, so a thermometer is a must. 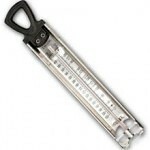 You can purchase candy-making thermometers at most grocery, craft or kitchen stores. Any container except aluminum can work for molding soap. 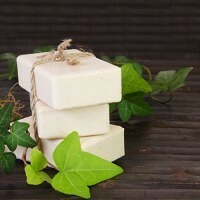 You can purchase or build your own wooden soap boxes, or even use disposable plastic containers (such as Glad). Just remember that the quantity of soap needs to fit well into the container you choose to use (Some people prefer the preciseness of the wooden boxes, while others swear by plastic containers, since you can easily pop the soap out). The step of mixing your soap is a long process and can be tiring to do by hand. 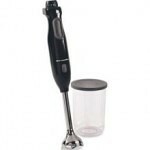 Many people purchase a small immersion blender to help speed up this step. If you prefer to mix by hand, you can try wooden spoons, spatulas, stainless steel whisks (not aluminum) or plastic spoons. You will want two separate utensils: One for stirring the lye, and one for the soap mixture. You should keep rags and towels around in case of spills, but you will also want towels to wrap your soap mold in (to keep the soap warm while it goes through the stages of saponification). You should always wear plastic dish washing gloves, a long-sleeved shirt, pants, and shoes that cover your toes. Lye will burn your skin if it comes in contact with it at all. You should also consider a pair of goggles and a face mask. Soap needs to be dried with plenty of air circulation. Laying soap on plastic-coated window screen, or needlework canvas is a good way to allow circulation to get both above and below the soap. 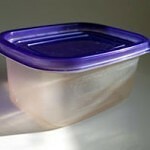 After soap has dried, you will want to store it in an open container. 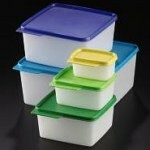 This can be a large plastic box, or cardboard (just avoid sealed containers that will not get any airflow). 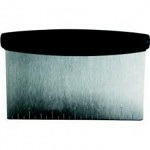 The most popular tool for cutting soap into bars, is a board scraper/chopper. You should have at least a 6″ blade. You can also make your own soap cutter using wire. 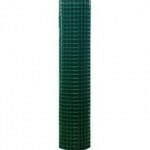 A coffee grinder or mortar and pestle for grinding up soap additives like oatmeal. “On July 15, 2000, activist Alex Jones infiltrated the highly secret Bohemian club in Marin County, California and was able to film the long-rumored druid/Babylonian rituals where members observe mock human sacrifices to the ancient god Moloch (a large owl statue).